UNILAG college of medicine is an autonomous entity of prestigious institution. In this article we will talk about cut off mark for medicine and surgery in UNILAG. So, if you are planning to enter this faculty it is high time to find out all the details. 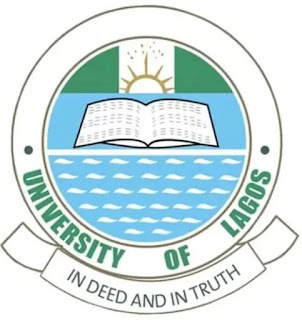 UNILAG or The University of Lagos - is a federal university, one of the oldest and most prestigious institutions in Lagos and a whole country. It was established in 1962 because of the necessity of professional workforce in the independent country. As for the terms of admission, the university remains one of the most hard-to-reach institution in the country. Nevertheless, this institution has the largest population of the students in Nigeria. This is a place of academic research. The place of main campus is Akoka, Yaba, but UNILAG college of medicine is situated in Idi-Araba, Surulere. UNILAG medicine college exists as an autonomous entity within the institution. The system of education has certain criteria for the screening of students before the admission to any university. Cut off marks make it much easier to enter any course. Such marks are considered as a needed admission score of a particular institution. All the institutions have published the cut off marks for 2018 JUMB examination. Most of the universities established 180 as a cut off mark for medicine and surgery courses. As for cut off mark for medicine and surgery in UNILAG, the needed rate is 200, and this time the rate is equal for all courses of the institution. So, the candidates should aware this rate and work hard to reach the desired cut off mark.